Governance is about how an organisation is led and guided by its governing body. It is also about the ethical considerations that inform the decision-making within an organisation. It involves an acknowledgement of the technical aspects of governance, e.g. registration and legislation, and the commitment to transparency and accountability. The board’s governing role includes oversight of the organisation; giving strategic direction; and ensuring sufficient resources. The board accepts fiduciary responsibility and exercises oversight on financial, legal, ethical and performance matters. Effective governance necessitates a good relationship with the organisation’s director or CEO. This category features articles on various issues of technical governance in South Africa such as legal entities and registration; effective governance including recruitment, roles and responsibilities of a board; and tips on improving relationships between your governing body and executive leadership. Why are we talking about governance? 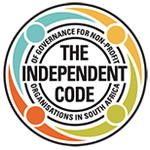 Given the funding issues non-profit organisations in South Africa are struggling with, surely governance is the last of a number of many important topics we should be looking at? Despite their wide diversity, NPOs share a number of defining characteristics that make them distinct and different from corporate and other entities established for profit. What qualities and skills do board members need? The board also needs people with various skills to function effectively – not everyone has to have all these skills, but collectively they will contribute to a strong board. Merely providing new board members with a load of documents does not amount to adequate orientation. Have a look at some of these key steps for involving and orientating new board members. At Inyathelo, we call attention to the need to constantly cultivate relationships with potential donors, investors and supporters as one of the foundations to attracting resources. Relationships take time and effort to develop. Building a successful relationship with potential board members may also take time. Once the strengths, gaps and needs of the NPO have been identified, the board will be in a better position to identify the kind of people it would seek to recruit to the board. This process enables the board to focus the search on those people who meet specific needs. Recruitment is a two-way process in which it is as important for an existing board and the NPO to make a good impression on a potential board member as it is for the potential board member’s skills and values to suit the organisation’s needs. To start, the board should have a well-prepared strategy.